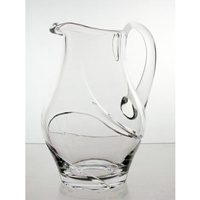 Our beautiful crystal jugs are a stunning addition to any set of glassware. 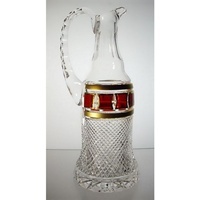 All hand-made from the finest crystal they are guaranteed to be both practical to use and beautifully admired. Water jug 1.3l. Classic Collection. 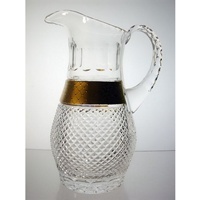 Water jug for the Classic Collection. 1.3l volume. Size 25cm. Bohemia Crystal. Hand blown and engraved. 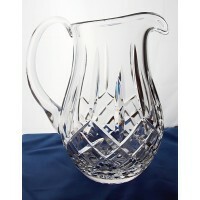 Crystal jug 1.5l. Spiral Collection. 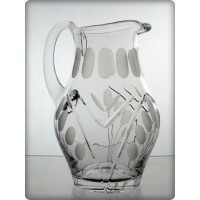 Crystal jug for the Spiral Collection. Volume 1.5l. Size 21cm. Hand blown and engraved. 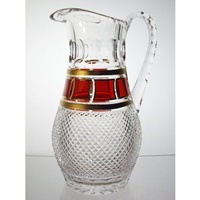 Crystal jug for the Red Gold Collection. Volume 0.9l. Size 28cm. Bohemia crystal decorated with 12-carat gold. Hand decorated and engraved. 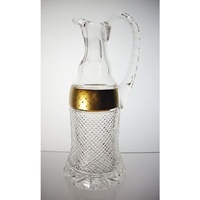 Crystal jug for the Nostalgy Collection. Volume 1.5l. Size 21cm. Hand blown and engraved. 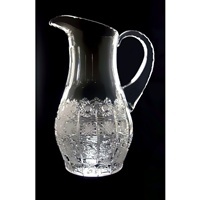 Crystal water jug. Volume 1.3 litre. Size 22cm. Hand blown and engraved.